The Mazda CX-5 for 2016. Mazda challenged conventional wisdom, and won. Beginning with SkyActiv Technology - by redesigning everything for efficiency, performance, and lower emissions. Interiors designed with the driver in mind, while built with the road in mind. Safe, with an IIHS Top Safety Pick+. 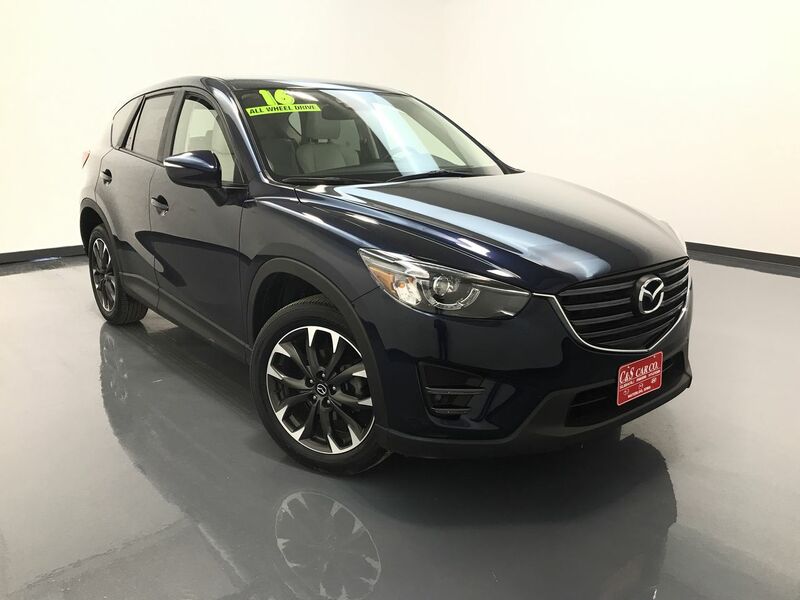 This CX-5 GRAND TOURING AWD has a leather interior with heated front seats, a power driver's seat, keyless entry and ignition, dual climate controls, a sunroof, blind-spot detection, and a back-up camera. The infotainment system has navigation, an AM/FM/CD sound system, and Bluetooth connectivity. The exterior features 19" alloy wheels with Toyo tires. **One Owner** Call C & S Mazda toll free at 866-212-8718 or locally at 319-291-7321.